This animation offers a quick introduction to the Think Possible Apparel (formerly Think Positive Apparel) Philosophy. All of Think Possible Apparel’s designs are made out of tiny, positive words! When you look into a Think Possible Apparel image you will find little affirmations and quotations. Whatever words jump out to you are the right ones for you at that time. Each design has its own theme but they are all under the umbrella of positivity! For example, the owl design is made completely out of quotations on wisdom from various leaders, artists, and philosophers. We made our ‘Elephant Warrior 3’ out of affirmations relevant to the symbolism of an elephant. The elephant is doing a warrior three yoga pose. Whichever words jump out at your when you look into our affirmation based designs become like a super power for your day. Just apply them in the right moments to make the most of each one. You have been them all before and can be them all again. Life is about the right attitude at the right time. Whatever you read within the art, we hope that you use it as an opportunity to check in with your own thinking and see how the positive words apply to your day and life. It is easier to have a positive mindset when we believe we are capable of achieving something we want. So when someone remains positive in the face of things that are really challenging, it simply means that they are continuing to work towards the solutions that they see as possible! Thinking positively means that we see the possibility within any given situation to achieve a desirable outcome. When thinking positively, we hold ourselves capable of attaining success and responsible for our results because we see what we are truly capable of! Taylor and Kalyn Lapidus founded Think Positive Apparel in Phoenix, Arizona in 2011. In 2012 we expanded our operations to San Diego, CA and have since moved our headquarters there as well! In 2019 we changed our company name to Think Possible Apparel. Here are some of the examples of what you will find when you look closer into our art: our “Love” and “Golden Ratio” designs are built out of powerful quotations on love and the meaning of the golden ratio from various leaders and artists. While our “Buddha” design is constructed entirely out of quotations from Buddha on mindfulness and cultivating true happiness. You will find our “turlte” and “giraffe” designs consist of positive affirmations relevant to their respective symbolisms (all truths that you have been before and can be again!). 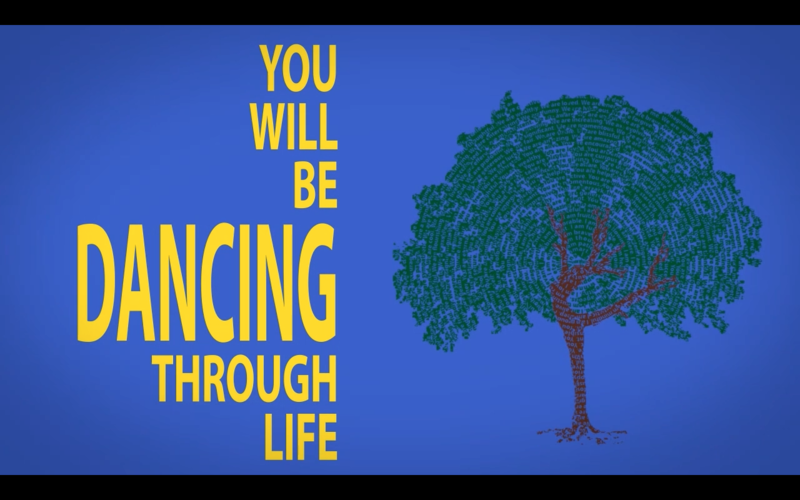 The “dancing tree” starts with those “I am” statements and branches outwards to “you are” and ultimately “we are” representing the expansion of consciousness and connectivity. Look into a Think Possible Apparel design. Whatever words jump out at you are like your superpowers for the day. Apply the right ones in the right moments to maximize your chances of success in anything you do. We encourage you to bring more mindfulness to whatever you read and see what happens! Our art is screen printed on to stylish t-shirts, tank tops, hoodies, and more for women, men, and children. We also create special canvas prints, posters, and other items like coffee mugs. Contact us if you are looking for anything in particular or to make a request. Find us at local farmer’s markets and events in San Diego, CA and the metropolitan Phoenix, AZ area events, in boutiques and yoga studios, and, of course, here, online.